Below you can view all the homes for sale in the Southbridge subdivision located in Chapel Hill North Carolina. Listings in Southbridge are updated daily from data we receive from the Raleigh multiple listing service. To learn more about any of these homes or to receive custom notifications when a new property is listed for sale in Southbridge, give us a call at 919-759-5770. 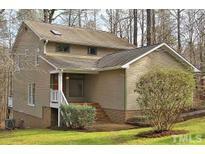 Private fenced yard, NEWER roof and 1 HVAC A MUST SEE! 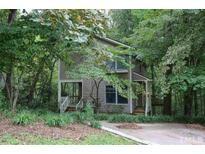 MLS#2237281. 62. *Kitchen renovated w/ new cabinets, granite Counter Tops, Stainless Steel appliances, breakfast bar & pass thru *Tons of Natural Light *Vaulted Ceilings *Recessed Lighting *Huge Living Room w/ WB Fireplace *Hardwood Floors *Spacious Master Bedroom on 1st Floor *ALL Updated Bathrooms *4 Bedroom's on 2nd floor - 2 w/ Walk in Closet's & 1 w/ WB Fireplace could be great OFFICE *Large rear deck overlooking woods *Excellent Chapel Hill location close to all schools, restaurants, UNC/CH & hospital! MLS#2238350. 45. Great views from windows and recent landscaping MLS#2236150. 150. All bedrooms have ceiling fans & good size closets. A MUST SEE! MLS#2224608. 4542.